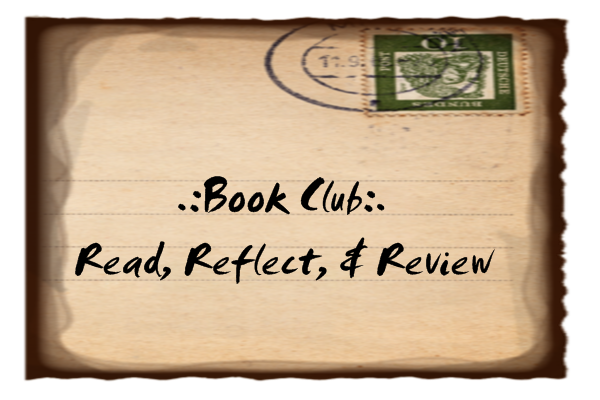 Last night was book club, which is each Wednesday night at 5:30. 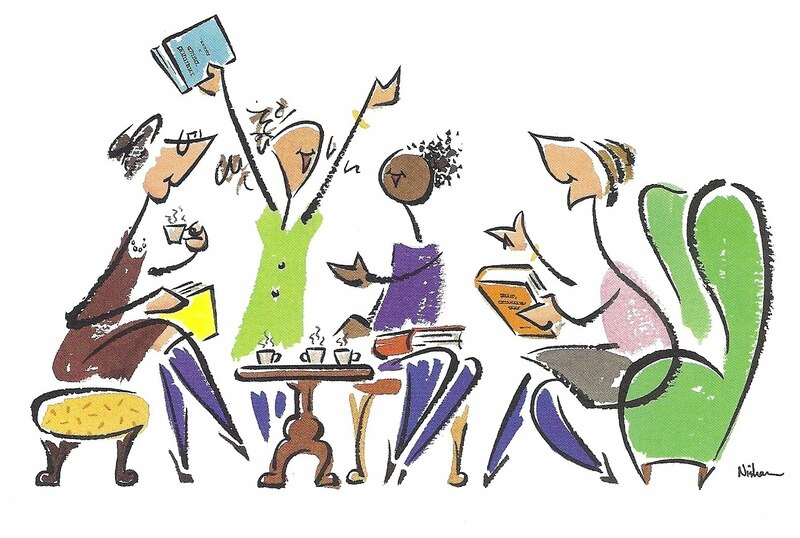 It is a small group of ladies, but we are voracious readers and it is always so much fun! What makes it fun? I wondered, as I reflected on the discussion from last evening. Is it the lively social time, as we prepare coffee and peak at the treats that someone brought? Is it the actual discussion of the book, which always offers new insights and perspectives, even if I have read the book more than once? Is it the fact that I just like these ladies and respect their opinions? Is it that we always laugh? No, I don’t think it’s any of those things, and I will tell you why. 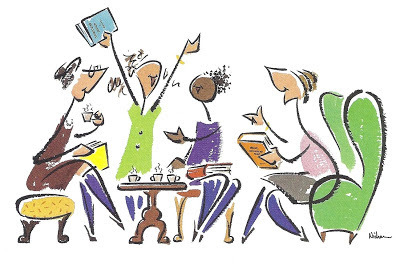 While I love all of these things about my face-to-face book group, I also love my on-line book group. I don’t see any of these folks and have never laid eyes on them before, they are a mixture of men and women, they join the discussion at various times, and different people comment on each book. And yet, it is as enjoyable as my F2F club. The answer is a simple one: We all share the love of books. Good books, terrible books, popular books, hard-to-find books, classics and newly published books. We have this in common: we are all bibliophiles and that seems to be all it truly takes for a phenomenal reading, reflecting and reviewing experience. I agree with you. It doesn't matter if it's online or F2F, is the fact that you are discussing with someone else the same passion that you have.The benefits of it being online though is that you could do it whenever you have time.The benefits of being F2F is the socializing and treats 🙂 I wished that I was part of a F2F group again.